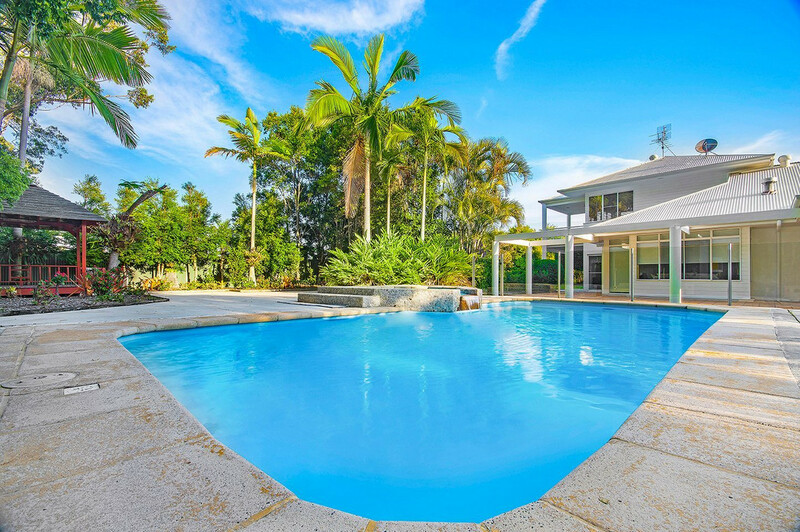 Imagine coming home to your own resort retreat every day! 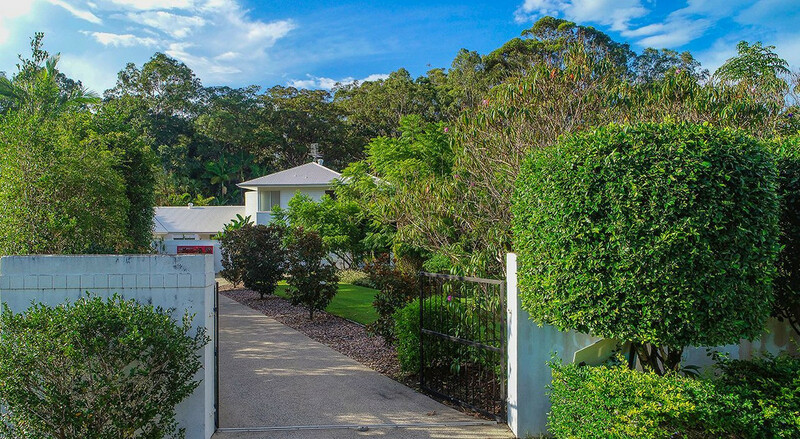 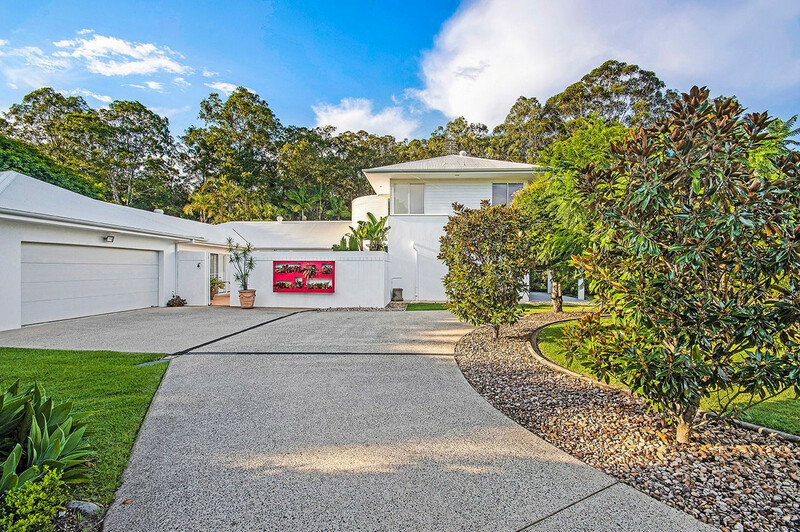 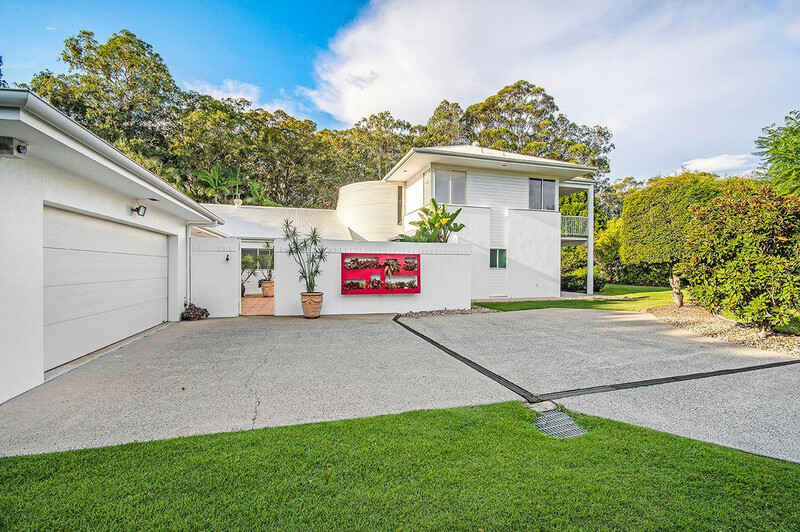 Enter this remarkable kingdom via large electric front gates as the garden paradise comes into view driving up the driveway to the double remote control garage. 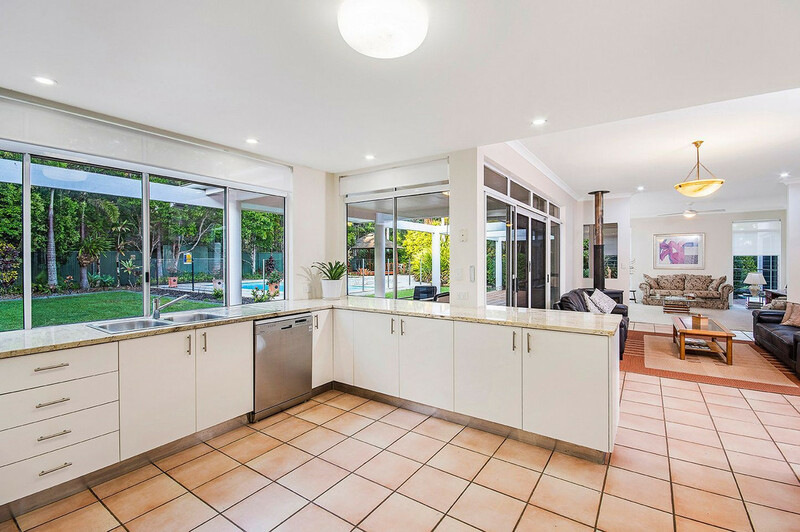 Be impressed by the sheer size of the open plan dining, kitchen, family and living area. 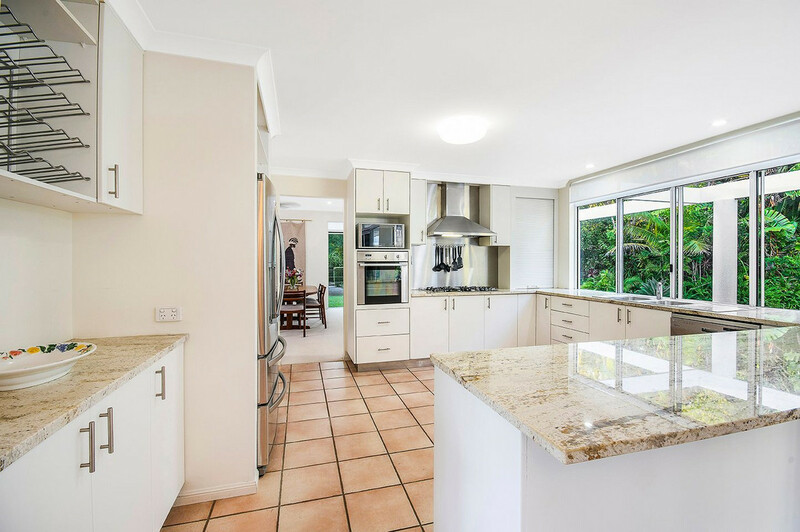 Prepare meals in the oversized kitchen with granite bench tops and state of the art stainless steel appliances. 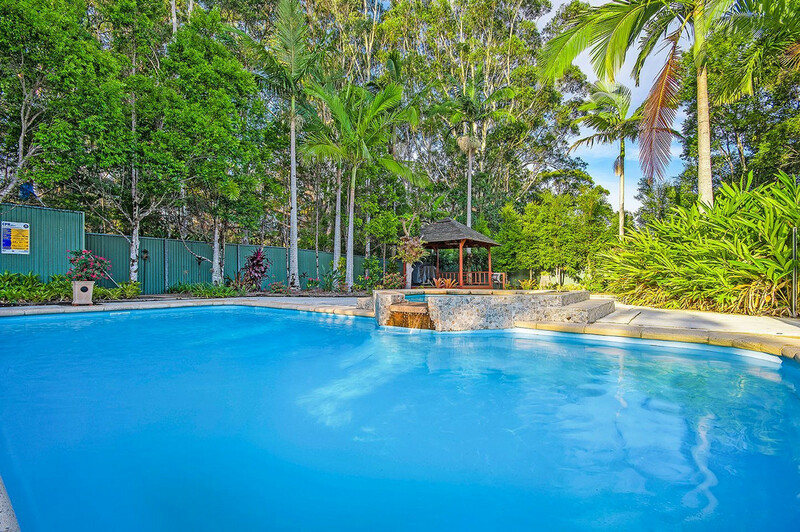 The entertainer will fall in love with the terrace which overlooks the massive outdoor pool and spa. 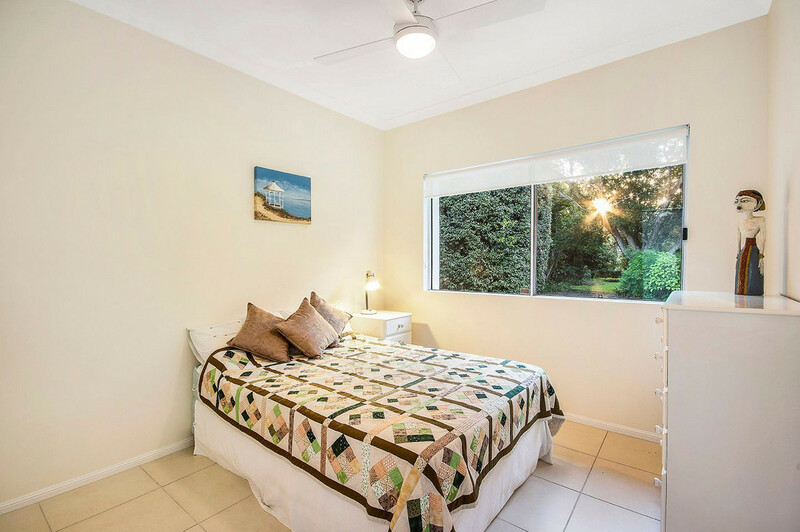 Three bedrooms downstairs include two supersized suites with their own ensuites and walk in robes fit for a king and queen and perfect for special guests or a teenagers retreat. 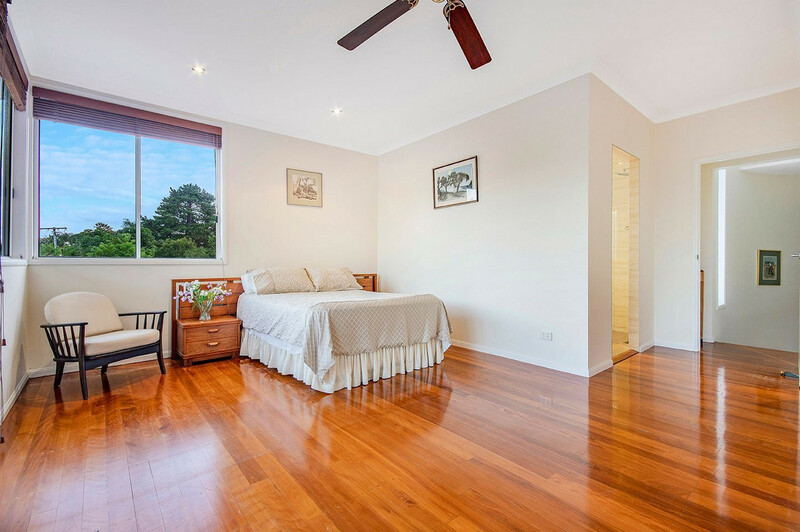 The master bedroom with polished floorboards sits upstairs with its own private deck for when you need a little “you time”, a huge walk in robe and ensuite. 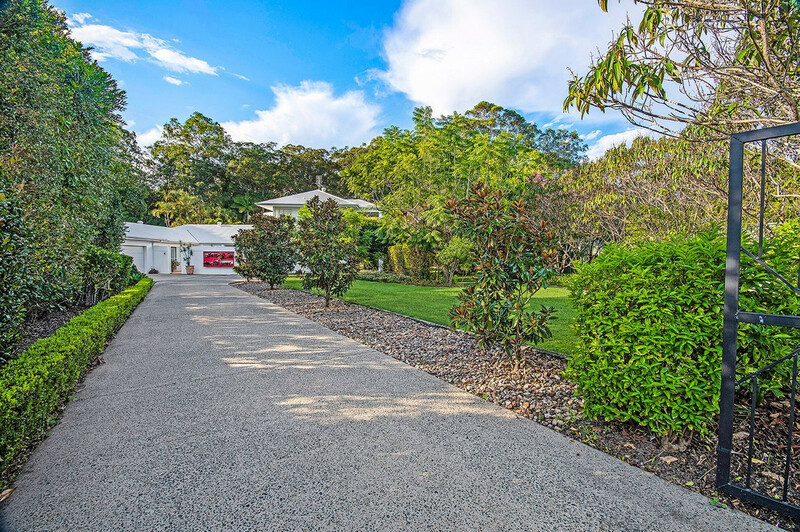 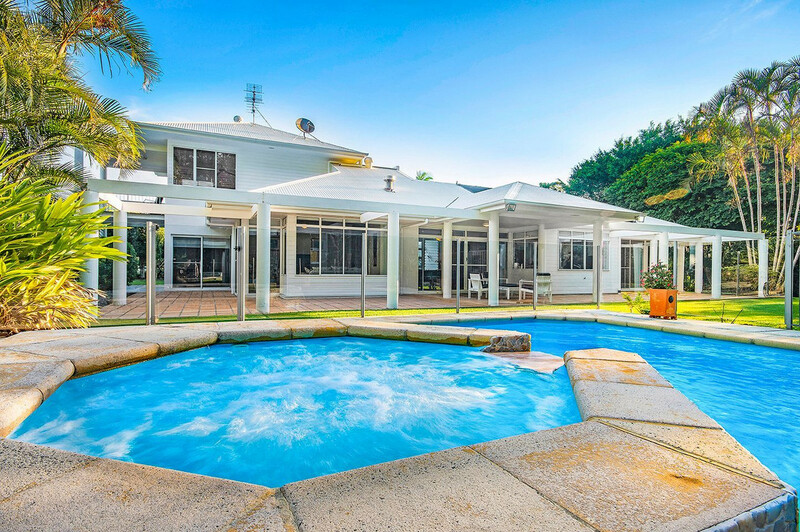 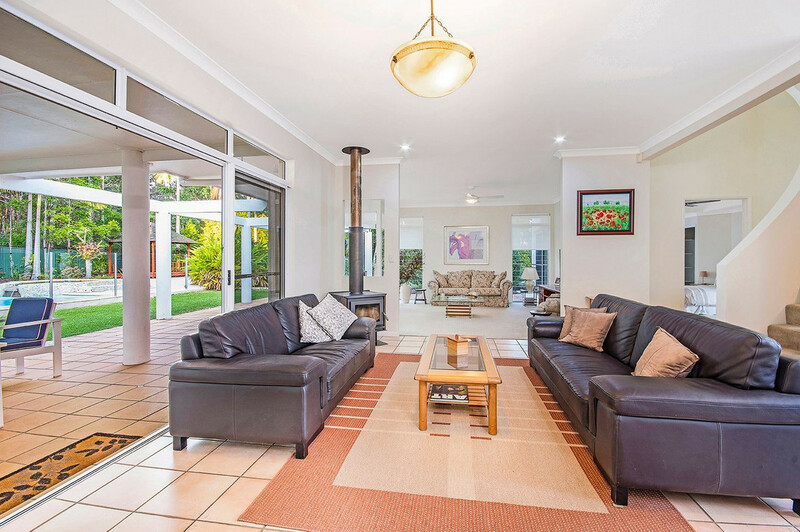 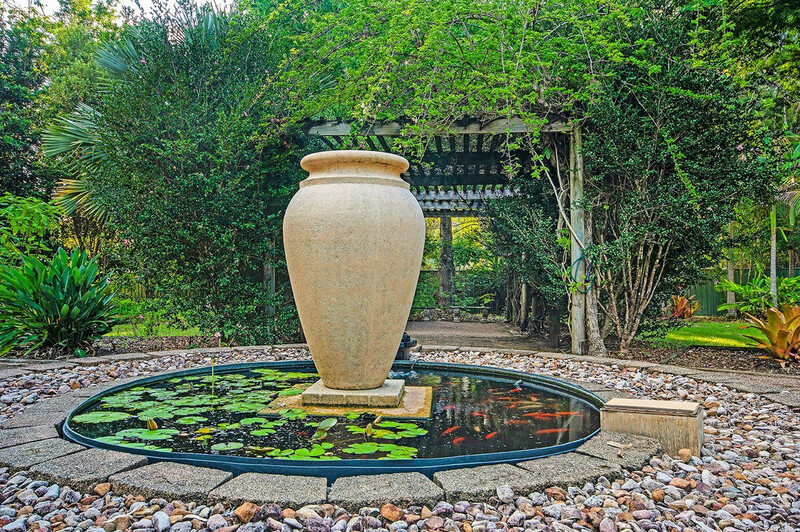 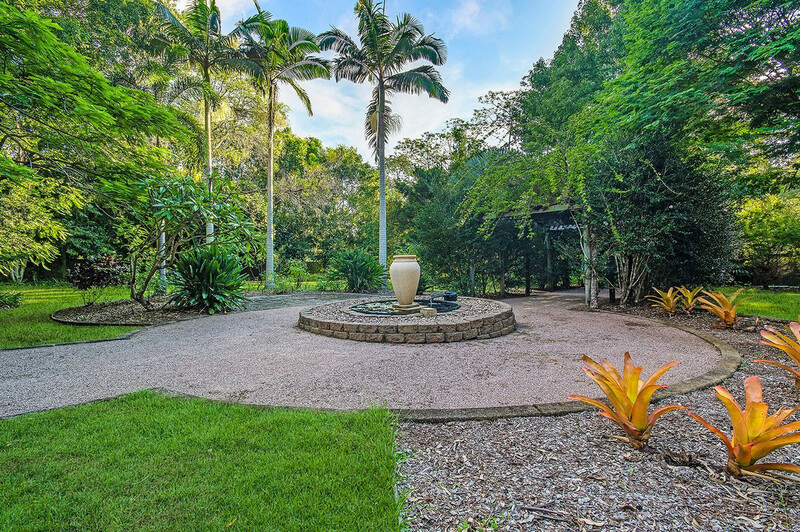 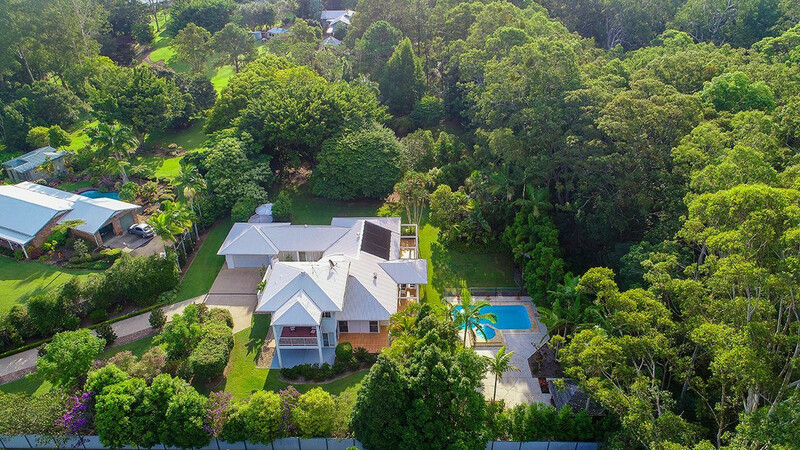 All this house on over 5000 square meters of beautifully landscaped manicured gardens which back onto bush parkland. 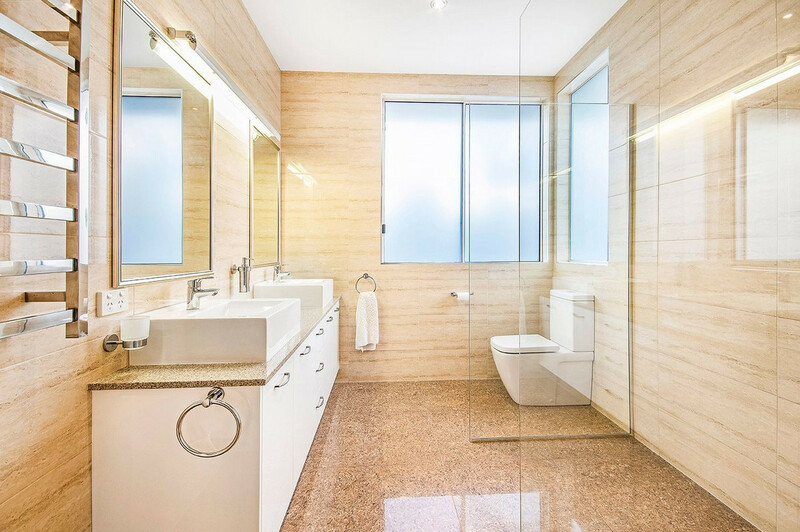 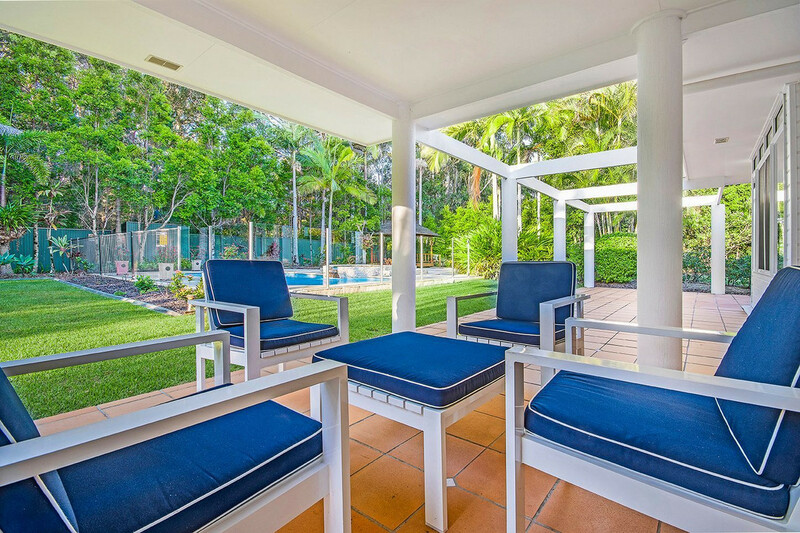 This property is surrounded by other luxurious homes and sits at the end of a cul de sac ensuring absolute privacy. 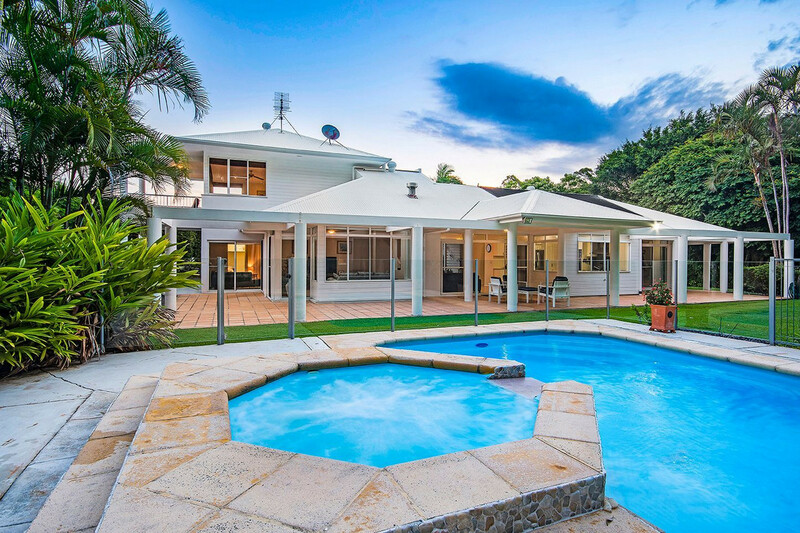 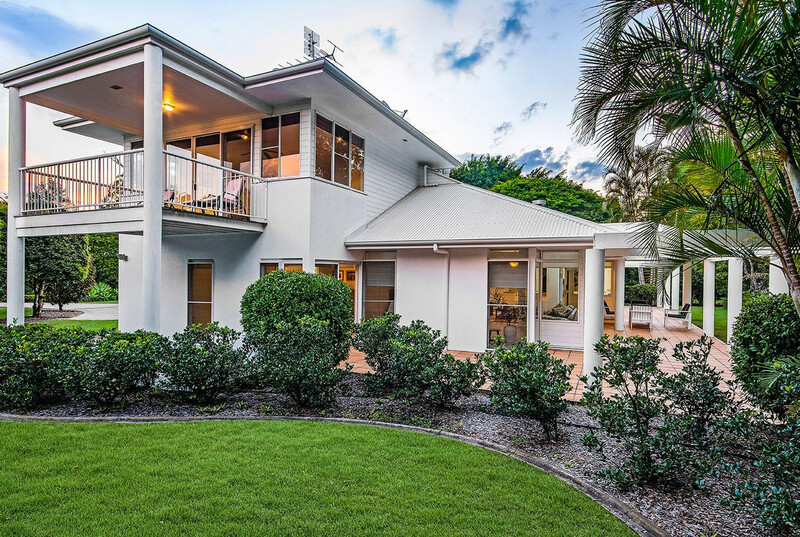 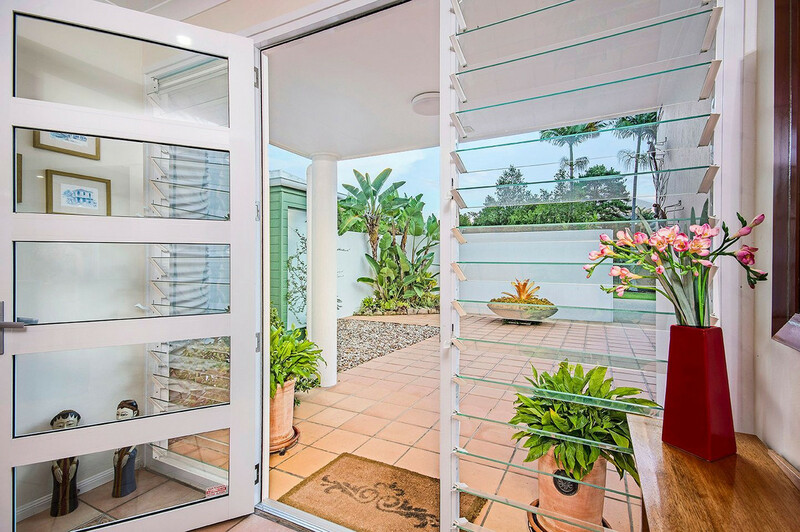 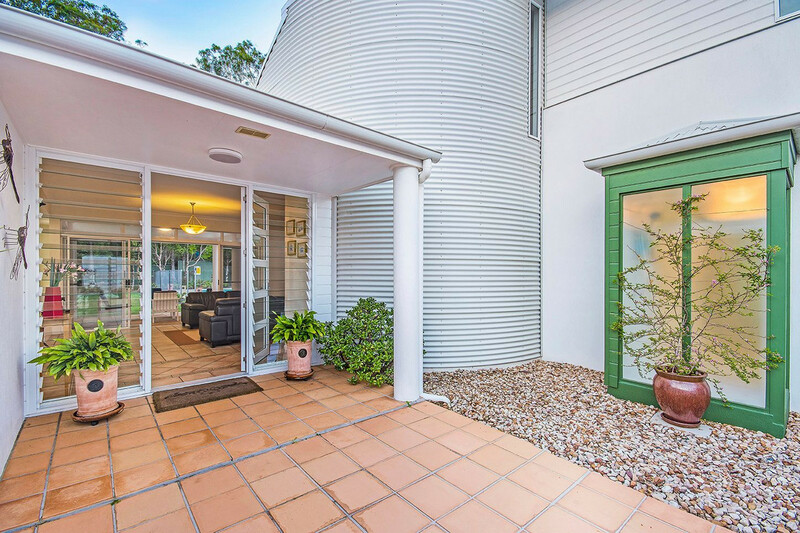 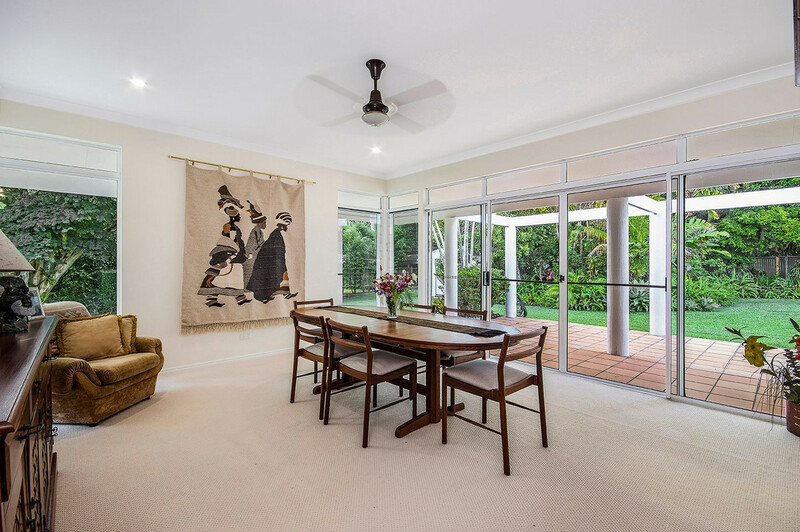 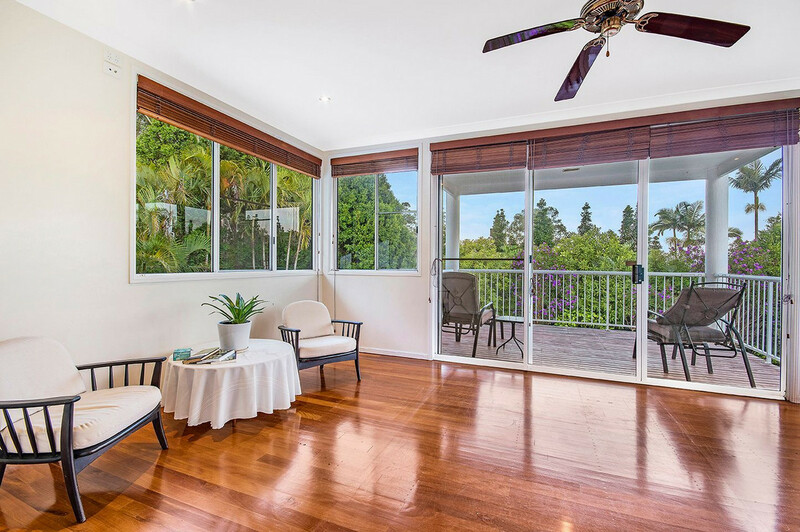 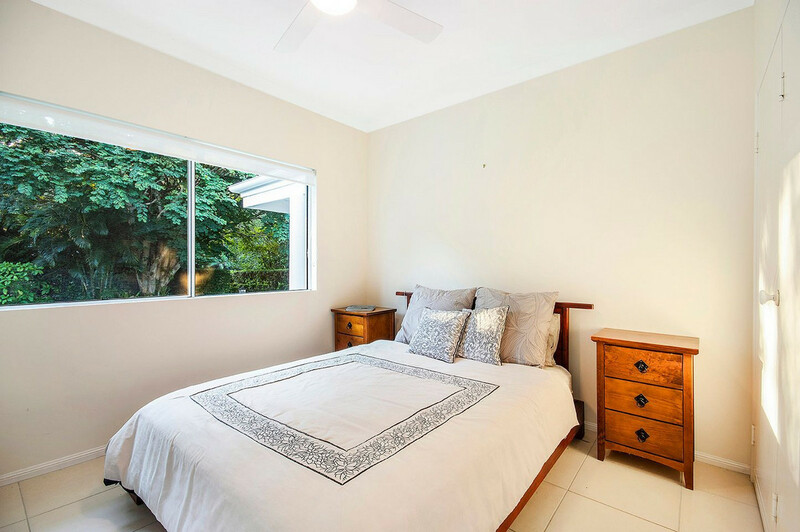 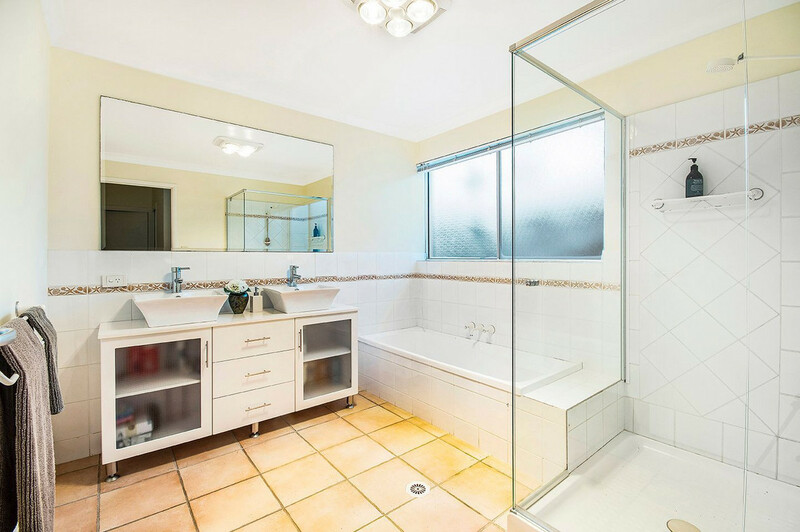 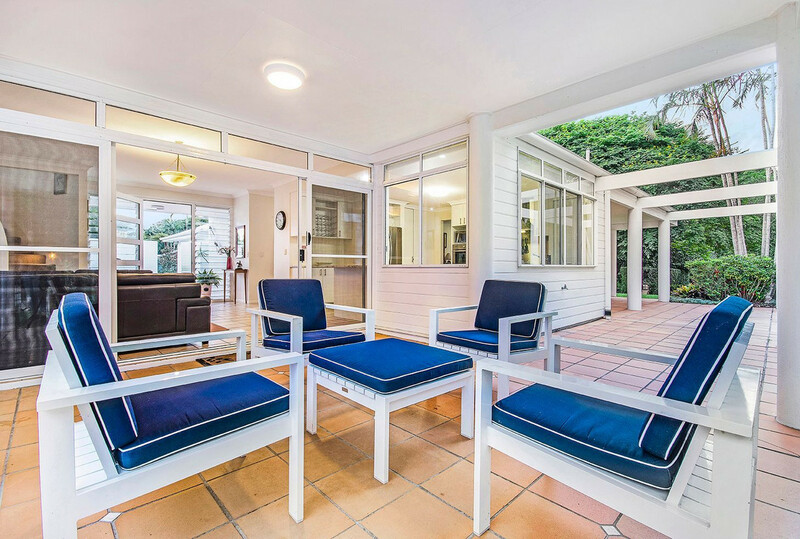 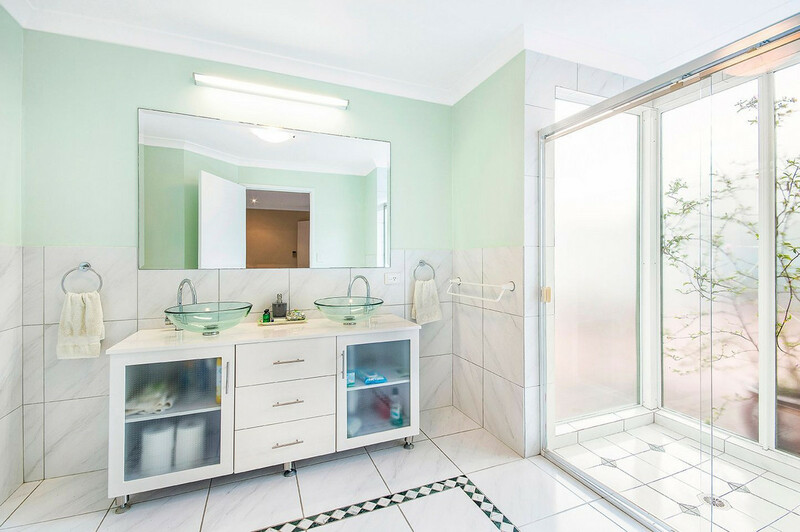 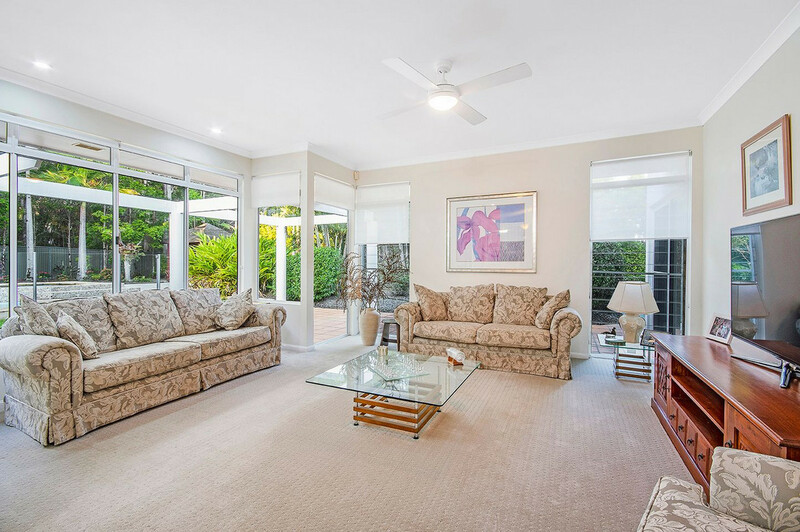 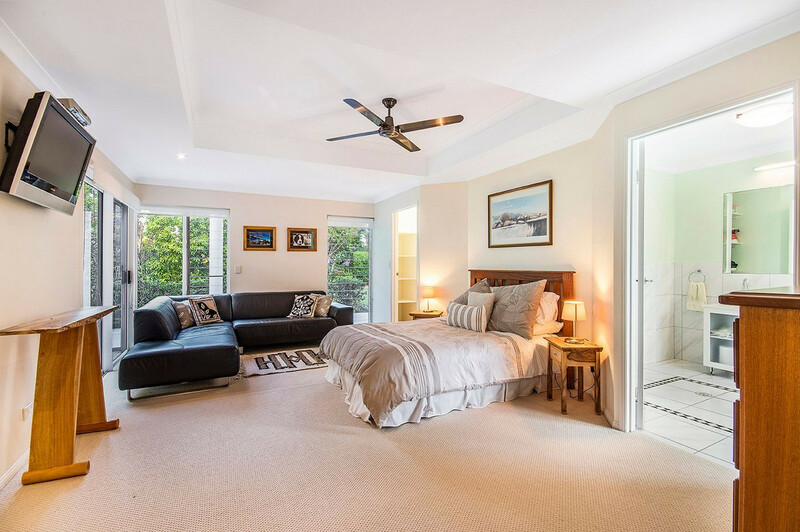 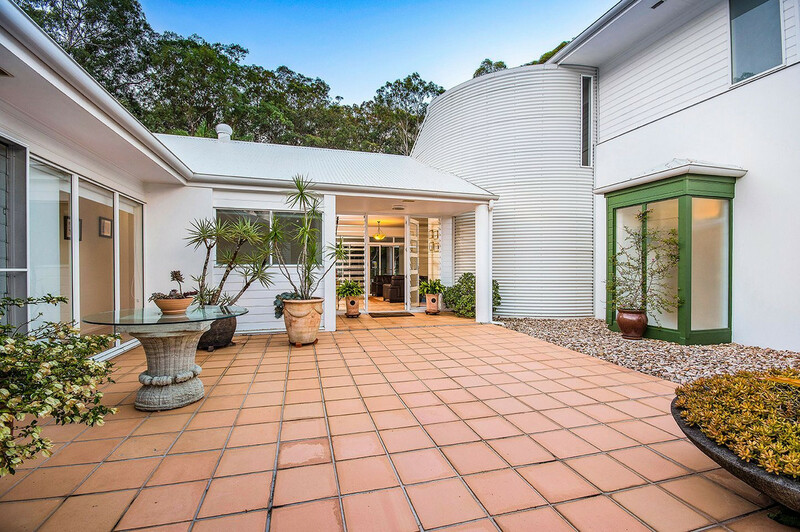 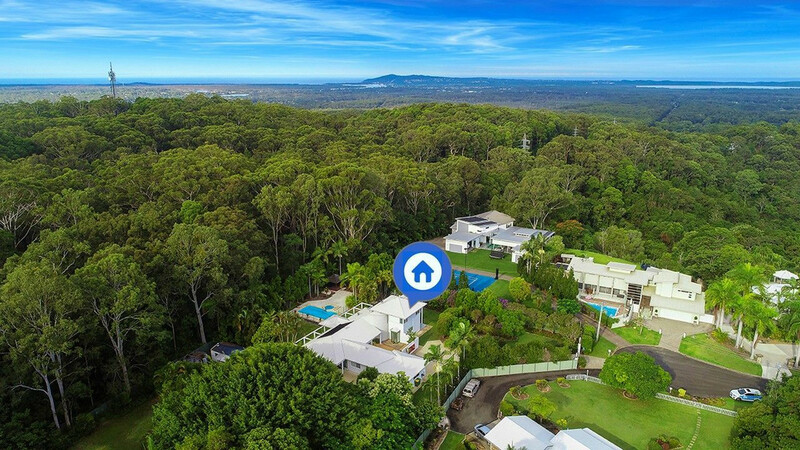 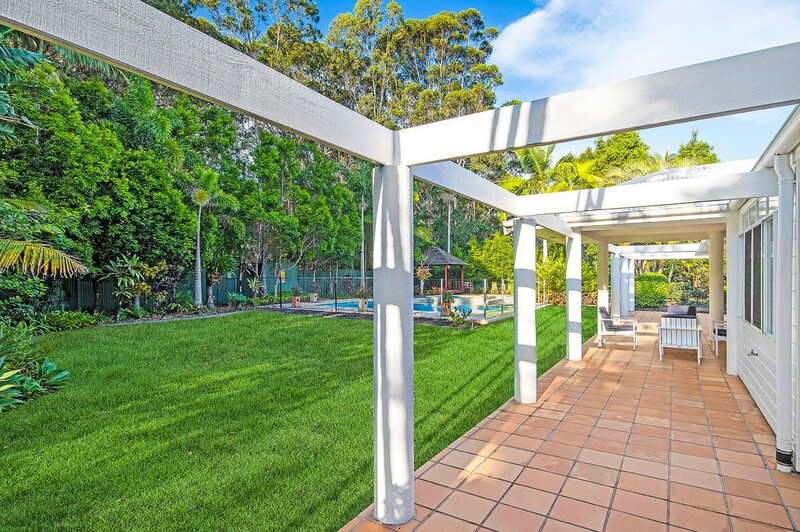 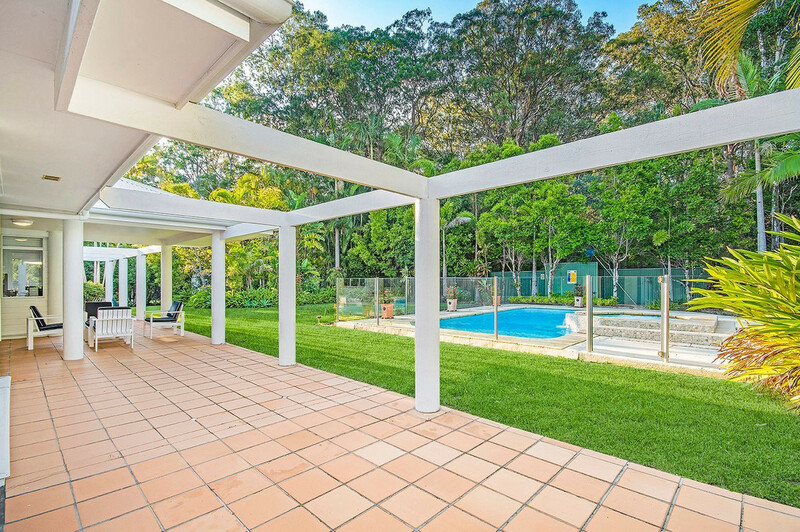 Only a short 20 minute drive puts you among the hustle and bustle of world famous Hastings Street and Noosa Main Beach, Tewantin and the Noosa River are even closer with seaside eateries and recreational water sports. 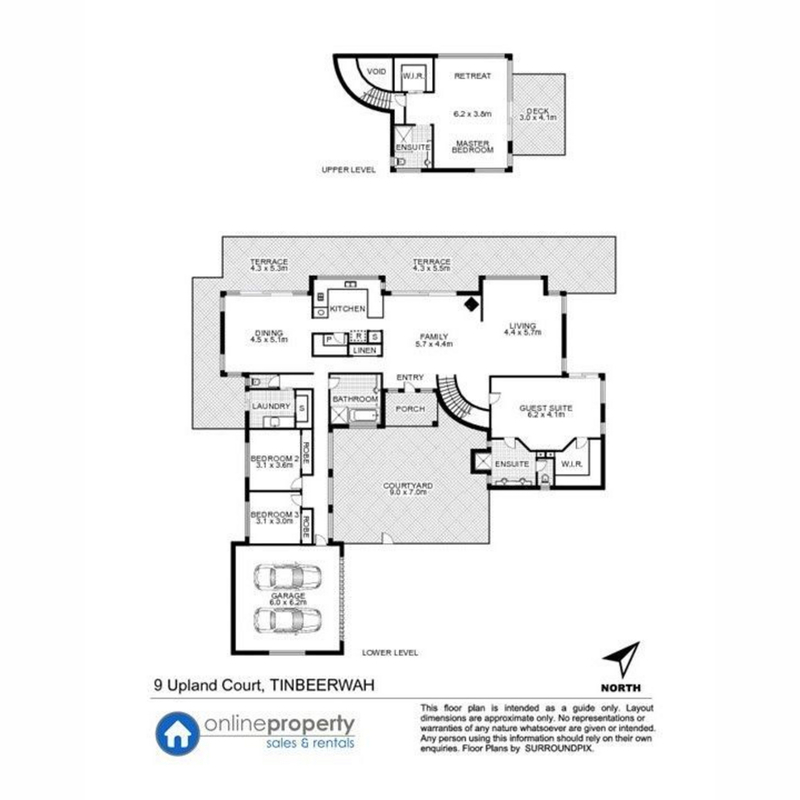 A single carport and back yard shed are also included. 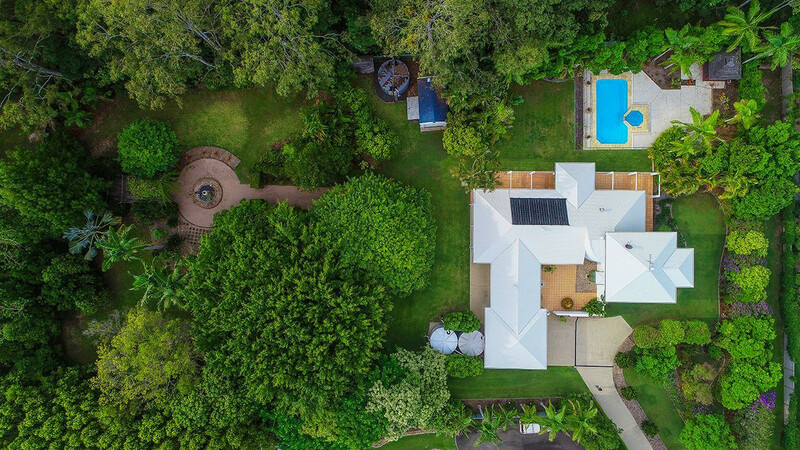 Do yourself a favor, DON’T MISS THIS ONE.